As a modern-day business, upgrading to a more contemporary communication system is something which should be done on instinct. With all of the merits which come from Unified Communications, there is no reason why any business should not find themselves switching to this kind of system. In fact, many companies have found that they have increased levels of productivity as a result of making this transition. 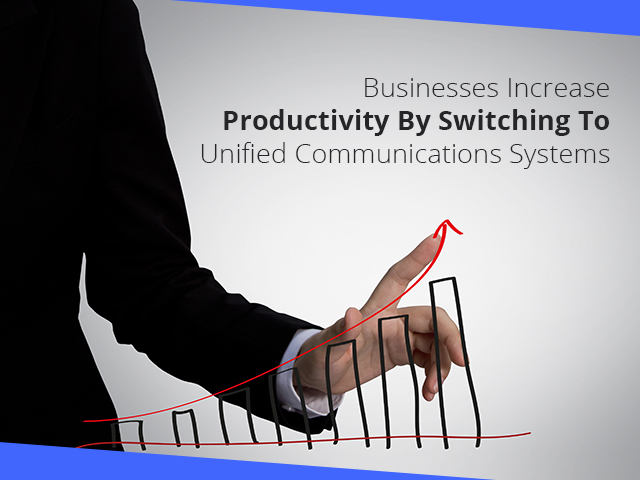 The complete overhaul and change of an existing system can be a lot for people to deal with, and so a lot of companies can be reluctant to switch across to a Unified Communications. However, productivity is one of the first things which increases when companies choose to make this transition, and this is due to the advanced technology which becomes available. First and foremost, companies will find they have access to a VoIP system. This is the Voice over Internet Protocol and is a modern method of communication. What it does is allow you to make and receive phone calls from any device within the office, even those devices which do not allow calls to be made in the first place. Mobile devices, tablets, desktops; they are all suitable for the VoIP system. Considering the versatility this grants a business, it is easy for people to collaborate in new and innovative ways. Customers, clients and co-workers can be dealt with irrespective of where you are, and this is supported by the other side of Unified Communications. The Unified Communications system is one which incorporates multiple resources and features to make collaboration a much easier and more simplistic process. More often than not, a company will find that it needs to collaborate with people to progress and develop, and this is something which is increasingly prominent. With the ability to send and receive documents with ease, as well as access to cloud-based collaboration, the sharing of ideas and materials has never been easier. This is the kind of system which is provided by Unified Communications, one in which collaboration is effortless and also where productivity is at an all-time high because there is no hindrance by technology and restrictions on the sharing of resources. Overall, it is easy to see why many businesses have chosen to implement a Unified Communications system into their working environment, in part due to the modernisation of collaboration. The most efficient businesses are those who can seamlessly transition between services and operations, working closely with colleagues both near and far to provide a solution for customers. Productivity increases only when the correct equipment is in place to facilitate growth and progression, which is why a Unified Communications system is such a valuable asset. Whether you are utilising VOIP software, cloud-based communication or any of the other features offered, you will soon see that there is an increased level of efficiency to be found. Once you begin to look at the improved productivity and flexibility of the new system, you will be hard-pressed to remember why you didn’t convert sooner in the first place.